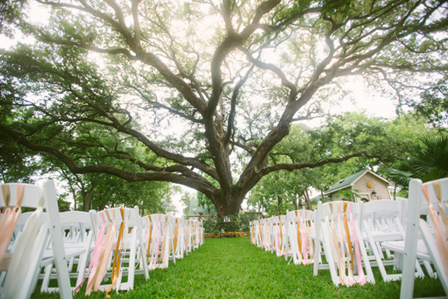 Are you planning an outdoor ceremony for your wedding? Oftentimes, it can be hard to hear outdoors with all the extra, unplanned noise. Birds or bugs may be chirping. Wind may be blowing. Planes may be flying overhead. At Diamond Dan Productions, we believe planning your outdoor ceremony with the noise factor in mind is essential. You don’t want your parents missing your vows. You don’t want your guests to strain to hear every word that comes from your mouth during one of the most precious moments of your life. You don’t want to have to shout your vows either! If you are planning an outdoor ceremony, or a ceremony in a venue that lacks a sound system, Diamond Dan Productions can provide you with everything you need. Wireless Lapel Microphones – These discreet, hands-free microphones are perfect for the bride, groom or whoever is performing the outdoor ceremony. 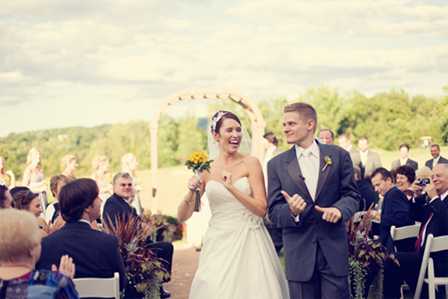 Your guests will be happy to be able to hear you clearly and to truly celebrate your wedding day with you. Standup Wireless Microphones – These microphones are perfect for vocalists and readers. Need music for your outdoor ceremony? At Diamond Dan Productions, we make sure your event goes smoothly by offering you clear, beautiful music. For more than 25 years, we have been serving brides and grooms all across Central Illinois, including Peoria, Pekin, Washington, Morton, and beyond. Choose Diamond Dan Productions for your outdoor ceremony. Interested in making your big day even more memorable? See what other services we offer: Photobooths , Uplighting, Ceremonies, Corporate Events, Dances, & Karaoke. Contact us today to see the possibilities! 309-657-6264.